Why, Rhett, I do declare! Gable between takes on the “Gone With the Wind” set. Clark Gable inhabited masculinity so purely and originally from the 1930s on that he came to represent the quintessential leading man, earning himself the title “King of Hollywood.” Even today, stars don’t come any bigger than Gable. But what transformed this awkward former tire factory worker into the dynamic presence that appealed to both men and women? For a start, he had rugged good looks the camera loved, along with the entire female population. But men could also admire his dry sense of humor, his casual way with the ladies, and the sense of an innate, and unshakable, moral code. He hunted and fished, repaired cars, and ranched; he could also wear the hell out of a pinstriped suit. But Gable’s looks and image were the result of years of refinement, which included developing his voice (which was naturally quite high) and fixing his teeth. Not only that, but in younger days, he had ears that stuck out, poor posture, and a generally undernourished look to him. All this had to be addressed if the young, Ohio-born William Clark Gable was to have any shot at stardom. Thankfully, it was, and he did. Once his features coalesced into the handsome face we know as Gable’s, his career began to jell too. Thanks to an early sizzling turn on-screen with Jean Harlow in “Red Dust” (1932), Gable quickly became the most bankable name on the MGM roster, and 1934’s “It Happened One Night” won him a Best Actor Oscar. The next year: another Oscar nod for the classic “Mutiny On The Bounty.” Now firmly established as the film industry’s “King,” he reigned for the rest of the thirties in a variety of high-profile roles. And then came Rhett Butler, the iconic hero of “Gone With the Wind” (1939). Though he did not win the Oscar for this, he was nominated, and this would always be his signature role. Not to say he slowed down, even after losing the love of his life, actress Carole Lombard, in an airplane crash in 1942. His career extended right up to his death from a heart attack in 1960, with such later outings as “Command Decision” (1949), “Run Silent, Run Deep” (1958), and “The Misfits” (1960) to his credit. 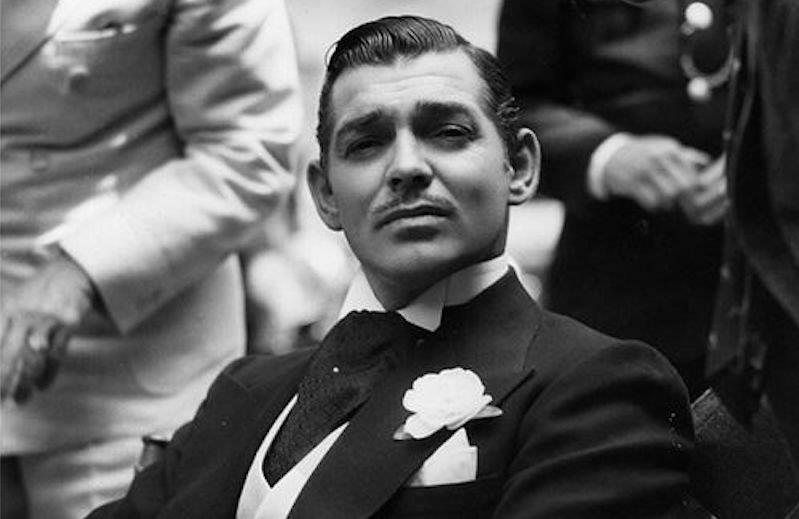 We appreciate Clark Gable because he was — and remains — a classic. Even now, his presence charges the cinematic atmosphere with a special brand of electricity. If you have forgotten just how magnetic Gable’s star power really was, let these pictures remind you. John Farr is an independent film advocate and movie curator for discerning viewers, John is your guide to the best movies to stream, rent or buy. While Hollywood and the critical establishment push audiences to go see what’s new, John is concerned solely with what’s great – old and new, domestic and foreign, narrative and documentary. After graduating from Princeton and pursuing a long career in advertising, John set out to follow his dream: to research, compile and promote the best films available, with a special emphasis on "hidden gems” which even the most passionate movie lover may have overlooked or forgotten about. In addition to his continuing work on Best Movies by Farr, John writes for the Huffington Post, and has appeared on Huffpo Live, CNN, and NBC.